Somewhere between the chicken and the waffles, we’ve earned a loyal following of Lo-Lo’s fanatics. From celebs to comfort foodies, everybody feels at home at Lo-Lo’s! Check out Mike Rashid at Lo-Lo’s! 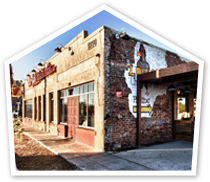 If you have the chance, don’t pass up the opportunity to visit Lo-Lo's Chicken & Waffles. The staff is always out-going, friendly and very pleasant. I have to say the food is my favorite part of Lo-Lo's. I have had many of the items off of the menu, but the Betty Boop is my favorite, and who doesn’t enjoy a huge mason jar full of iced red kool-aid to wash down the chicken and waffle combo? Although they have the kool-aid in numerous colors / flavors, the red is my favorite. Another must have are the fried green tomatoes. They are fried to perfection with a dipping sauce to die for. The portions are large so make sure you go HUNGRY. Lo-Lo's is definitely one of our family favorites. I give them 5 stars! Lo-Lo's Chicken and Waffles was AMAZING. It lived up to everything that I had heard about it and then some! I brought my boys down to the Phoenix location for the Tools 4 Schools Charity Event that they put on and I was super impressed with not only the food but with the great people at Lo-Lo's. I can't wait for the Gilbert location to open up which will be right down the road from my house. Thanks Lo-Lo's for introducing me to some quality food and some quality people! Going to Lo-Lo's is always a destination trip for me. Every time I come to the Phoenix area from Nebraska I need to go to Lo-Lo's for their great food. The quality and quantity of the food is off the chart! My favorite is the two piece chicken and waffle with a side of mac and cheese, and a koolaide drink. The menu has something for everyone. There is nothing like this is the Midwest. The service is always personable and professional and the atmosphere is family friendly. Great food, great service, great people!